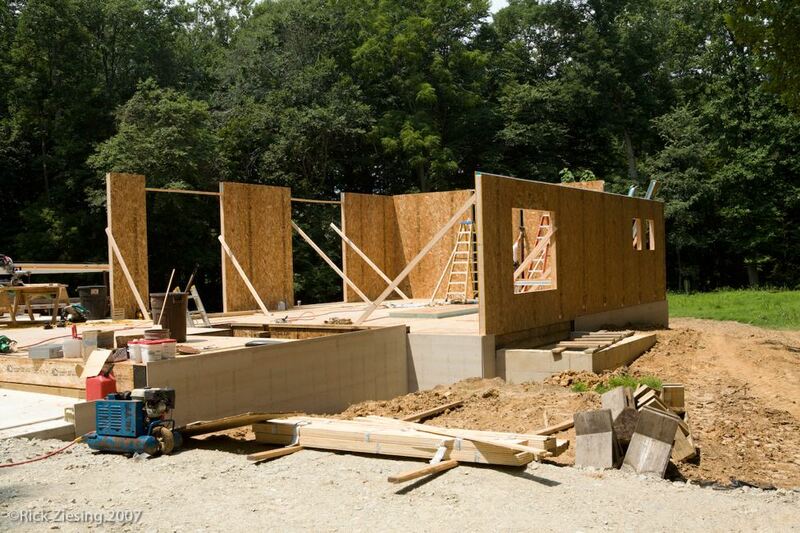 This Kennett Square, PA residence is a hybrid construction bringing together timber framing with Structural Insulated Panels to form a framework that rests on a Superior Wall Foundation. 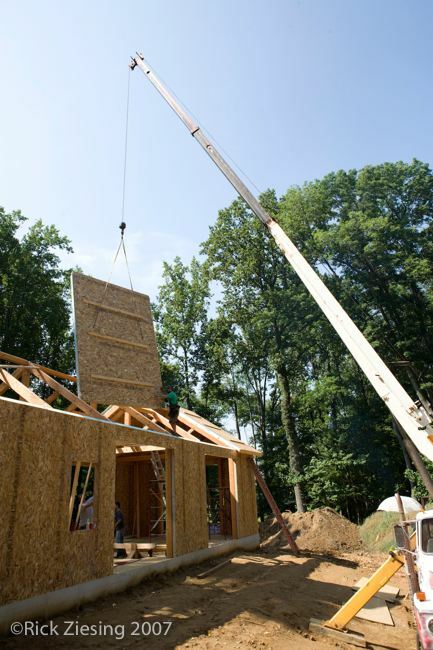 Built almost entirely off-site, little waste was generated during construction. The focus of the design and construction team was to reduce the home’s impact on the environment by sourcing materials locally and with high recycled content, minimizing site disturbance, installing energy and water efficient systems and appliances, installing native plant landscaping and implementing innovative green building techniques that include installing a sedum planted roof, natural ventilation and rain gardens for on-site stormwater recharge. The Kennett Square, PA Residence earned Silver Certification from the US Green Building Council’s LEED for Homes program. 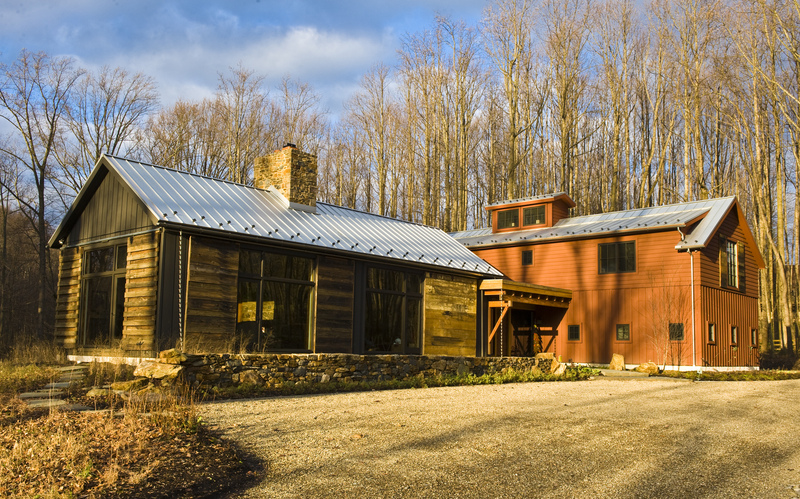 Constructed in 2007-2008, the home was the first LEED for Homes certified residence in Chester County, PA. 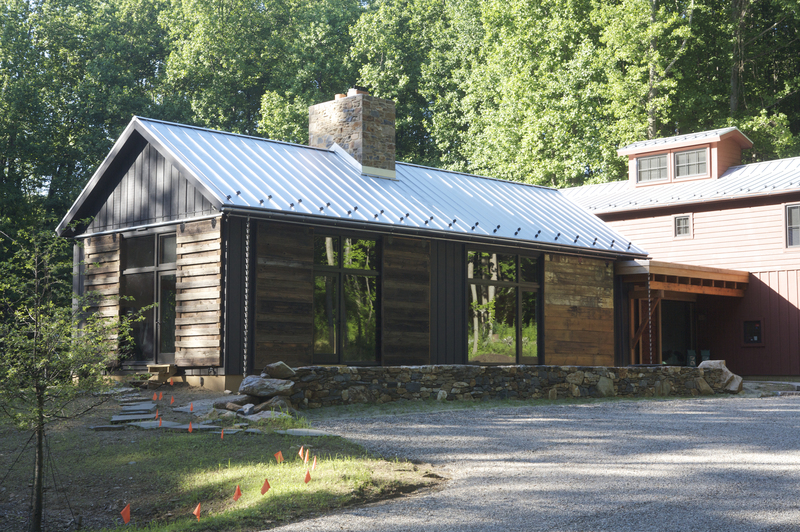 The home was also awarded Energy Star home certification with a HERS (Home Energy Rating System) rating of 51, 34 points below the Energy Star target threshold. 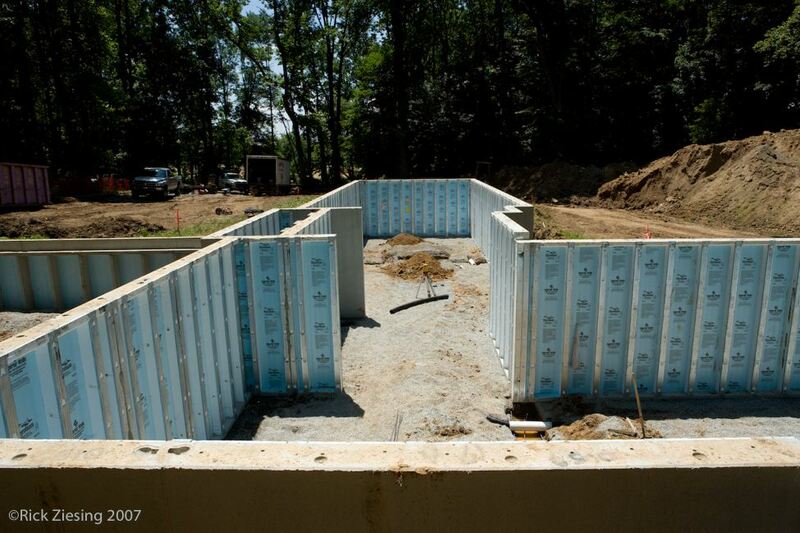 Sustainable elements in this residence: Foundation Superior Walls precast concrete foundation Xi (X-tra insulation) system with crushed stone footing system for basement and crawls space areas. 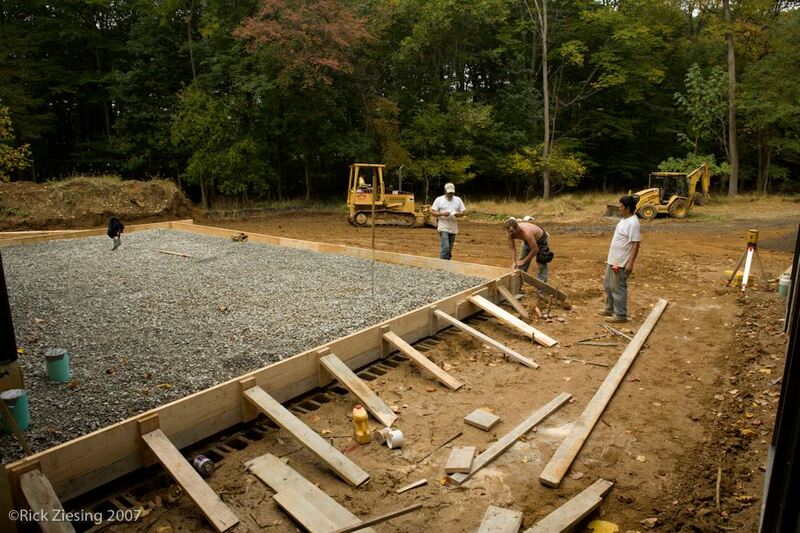 All concrete for slab footers and foundation contains either blast furnace slag or coal fly ash in 25% in mix. Basement, Garage, Crawl Space & Common Building Slab 4” concrete slab to contains either blast furnace slag or coal fly ash 25% in mix. 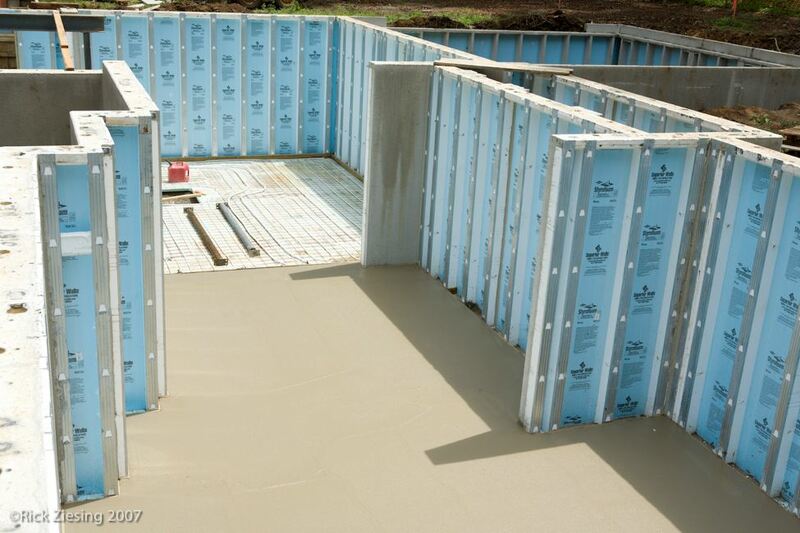 Entire slab insulated with 2” rigid foam with 6-mil polyethylene vapor barrier. 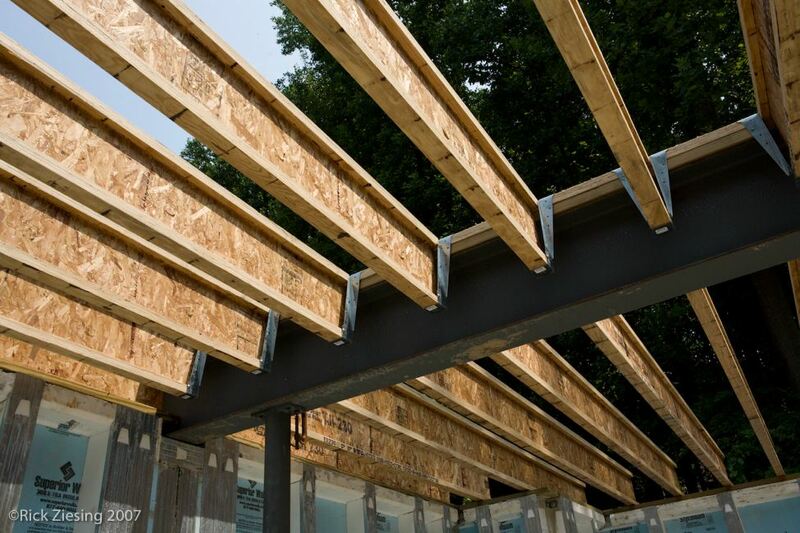 Floor System Weyerhaeuser Trus Joist TJI Timberstrand LSL floor joist system and Timberstrand rim board. 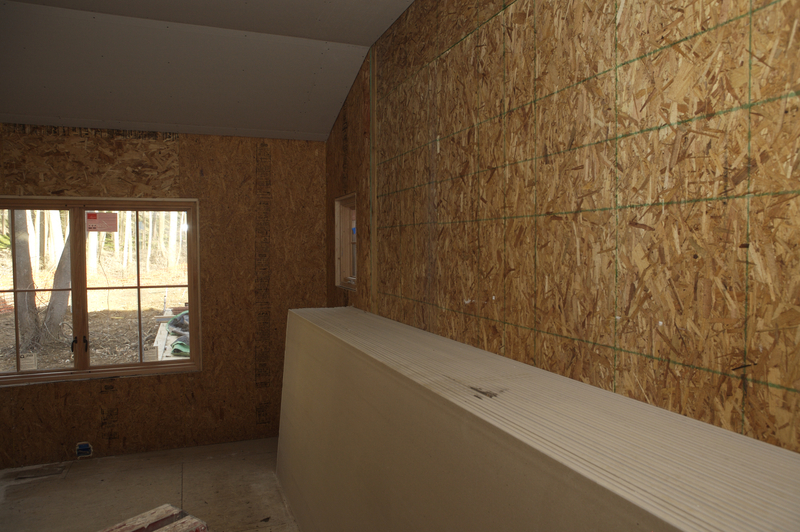 Subfloor is ¾” T&G Advantech OSB. 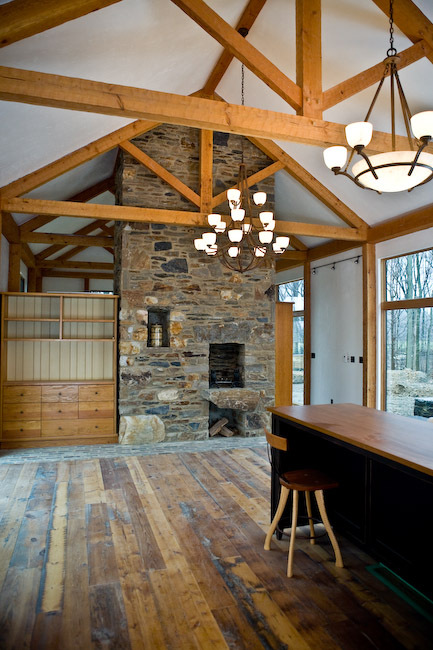 Radiant Floor This house boasts radiant heat floors, with multiple zone controls. The homeowner can tailor room temperatures to suit each areas specific heating requirements. 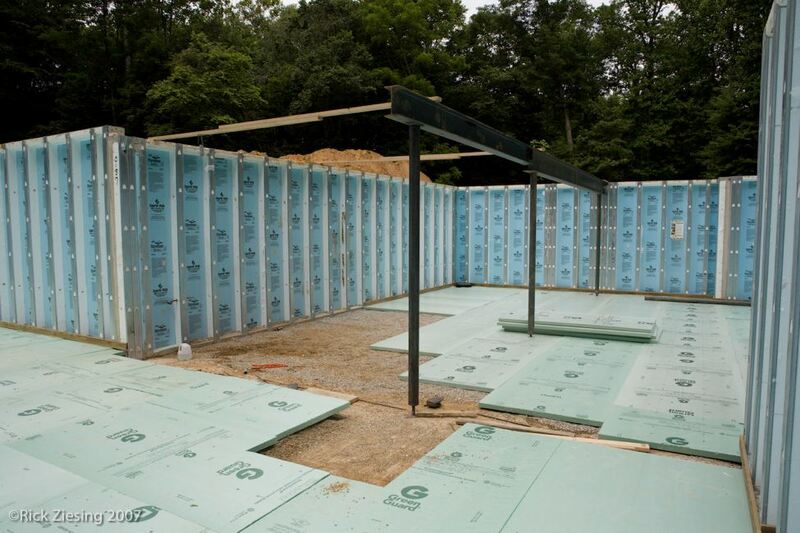 Wall System Structural Insulated Panels (SIP’s) nominal 4.5” (two 7/16” OSB Skin) 3 11/16” polyurethane XPS structural core R-26 manufactured by Foard Panel, panels are XPS structural. 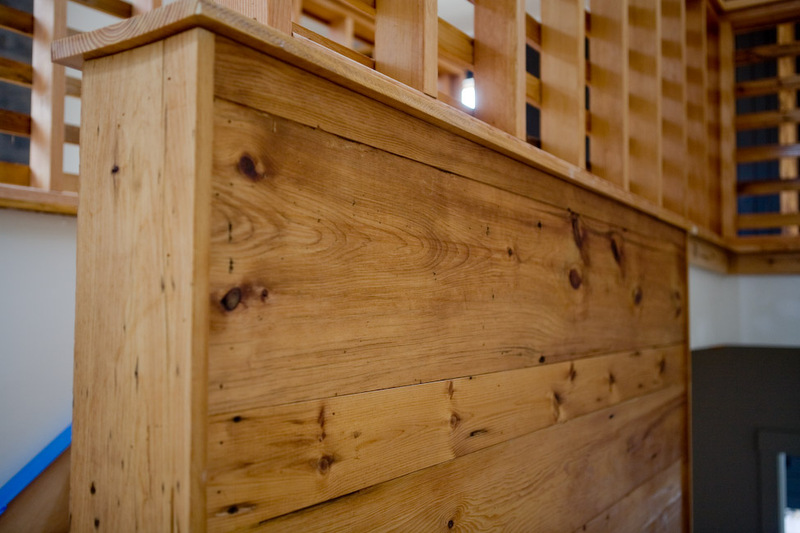 Siding and Exterior Finish Siding is new rough sawn cypress, a rapidly renewable resource. 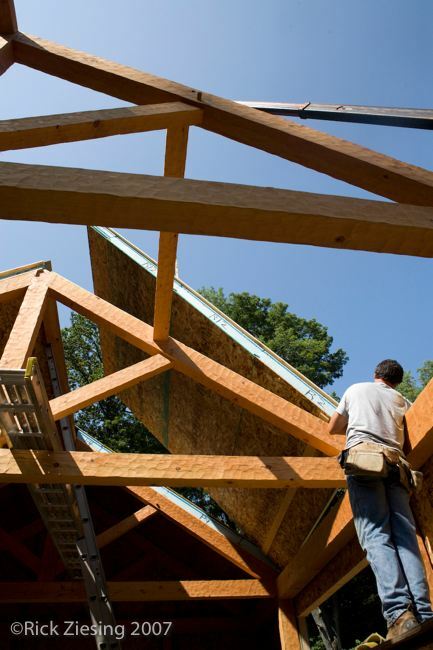 Moisture shield system consists of paper and cedar breather. 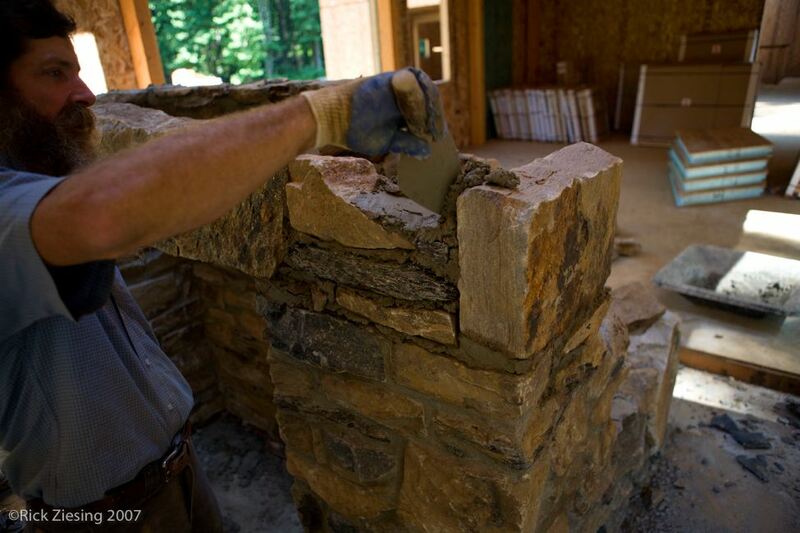 Fieldstone walls and pavers constructed of local stone from the Avondale Quarry. 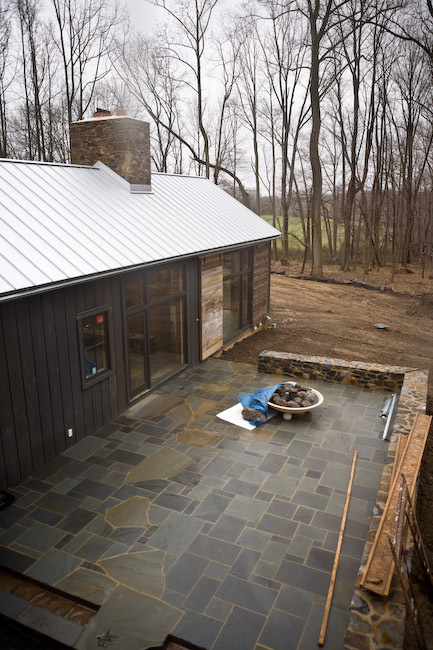 Blue stone paving material is from local sources for patio and walkways. 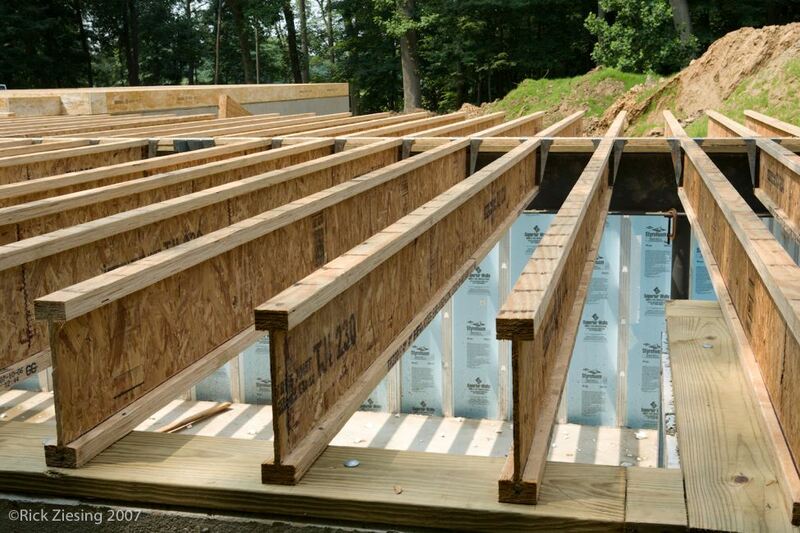 Roof Framing SIP’s are nominal 6.5” (two 7/16” OSB Skin) 5 11/16” polyurethane EPS structural core R-40 manufactured by Foard Panel. 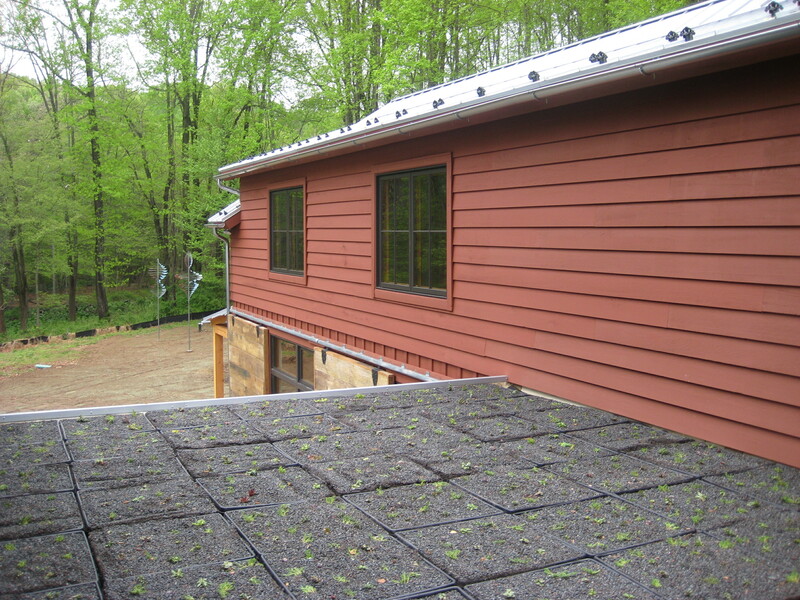 Roofing All pitched roof areas are Galvalum standing seam metal roofing with paper and cedar breather underlayment. The flat roof area is white reflective membrane material EPDM by Firestone and is planted out using Weston’s Green Grid roof containment system. 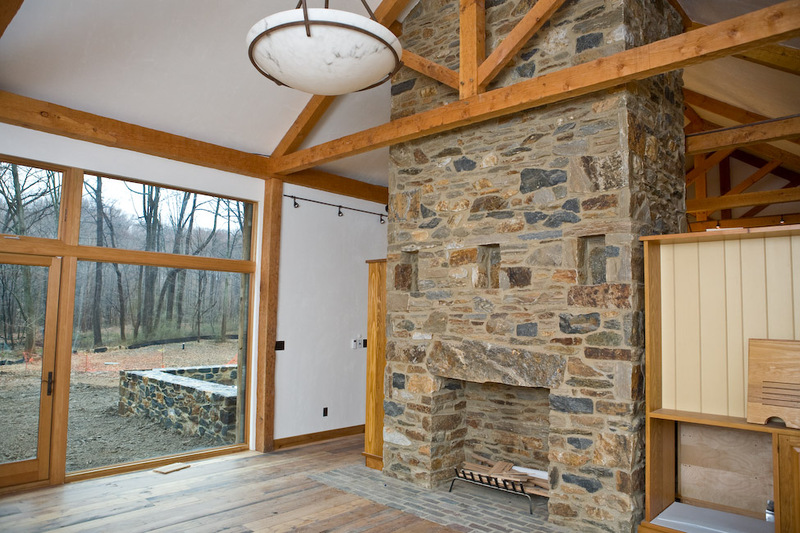 Windows and Exterior Glass Doors All glazing is Loewen Heat Smart Plus 1 Energy Star rated U value of .33. All exterior windows and doors are flashed with galvanized flashing and sealed with Grace “Vycor Plus” self-adhered membrane. Building Insulation Cor-Bond open cell spray foam installed over garage under second floor bedroom space, at joint between Superior Wall and Panels, at first and second floor joint and around al window and door penetrations. Ceiling of garage augmented with Green Guard Knauf Industries R-19 batt insulation. Flat roof areas built up with double layer of sheet insulation. Ceiling of basement insulated with Green Guard Knauf Industries foil faced R-19 batt insulation. 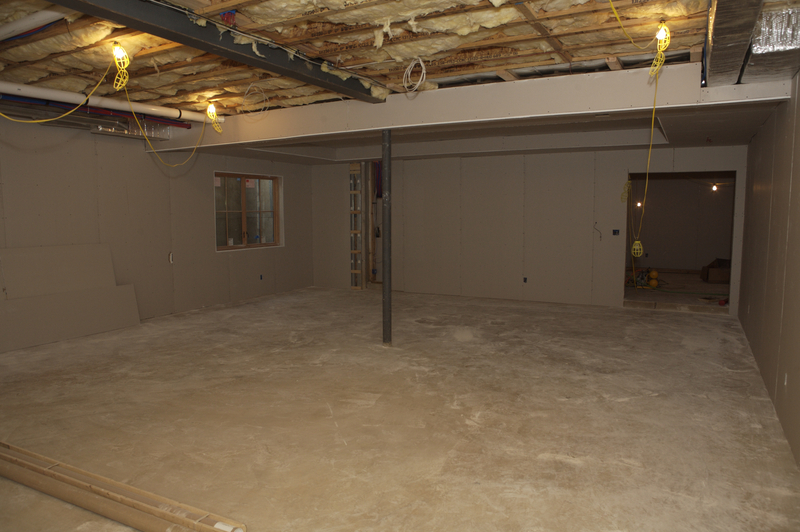 Walls of heated areas of basement insulated with Green Guard Knauf Industries kraft faced R-13 batt insulation. Gypsum Wall Board & Adhesives Flu-gas gypsum wall board (GWB). 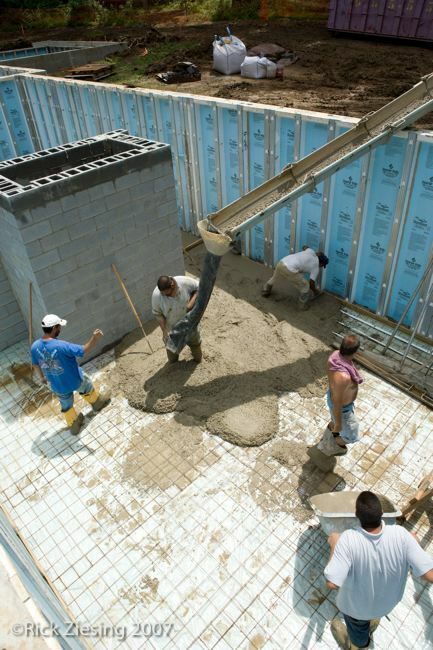 As many construction adhesives as possible were low VOC solvent free products. 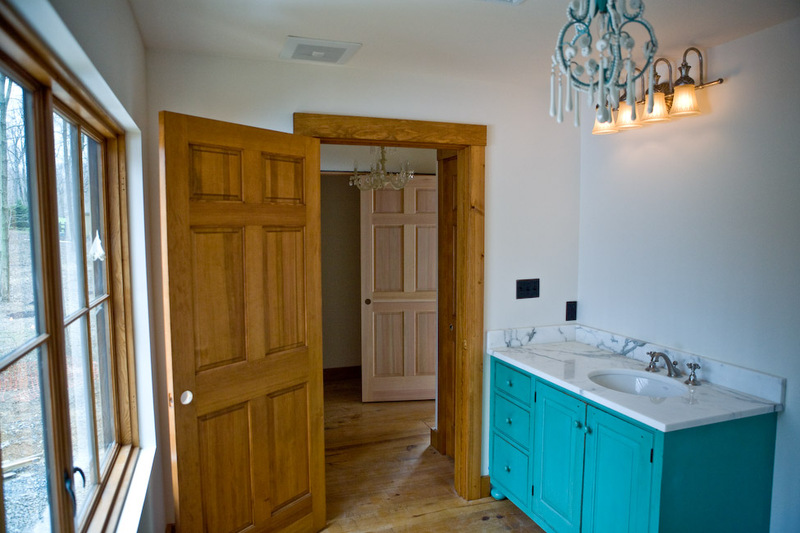 Interior Trim All baseboard trim in lodge building, entry and basement and all door casting in-house are painted poplar from trees milled on property. All baseboards in first and second floors of remainder of house are FSC certified reclaimed heart pine to match flooring. Interior Doors Interior doors are solid wood FSC certified. 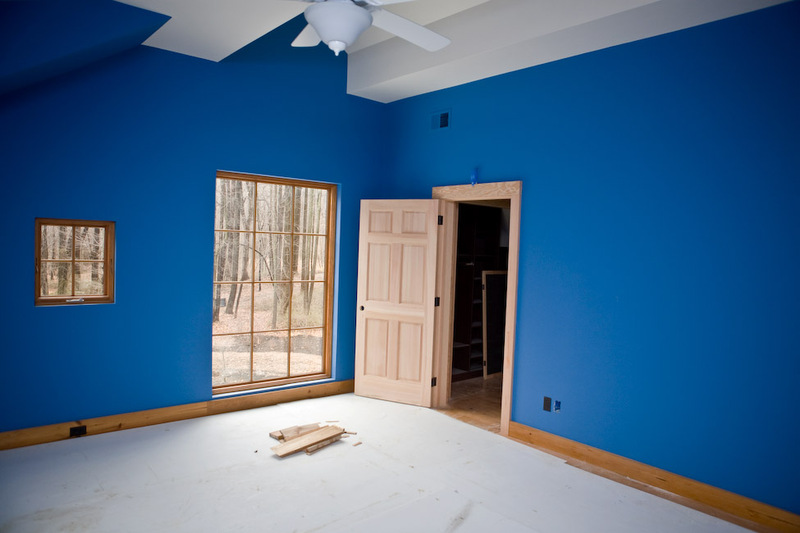 Interior Finishes All paint is zero VOC, low odor and silica free product. All stains and clear finishes are low VOC solvent free products. 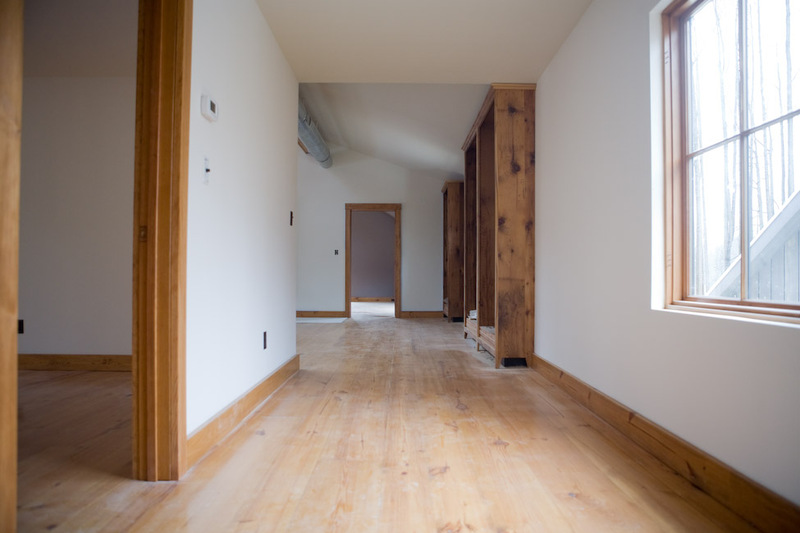 Flooring The lodge building features FSC reclaimed antique barn wood flooring finished with Tung Oil and a coat of polyurethane for finish. At the fireplace hearth are paver bricks reclaimed from the Baltimore Depository/Mint. The entry is tiled with African Slate, installed by a local tile company. The remainder of the house features FSC reclaimed heart pine finished with Tung Oil and a coat of polyurethane for finish. 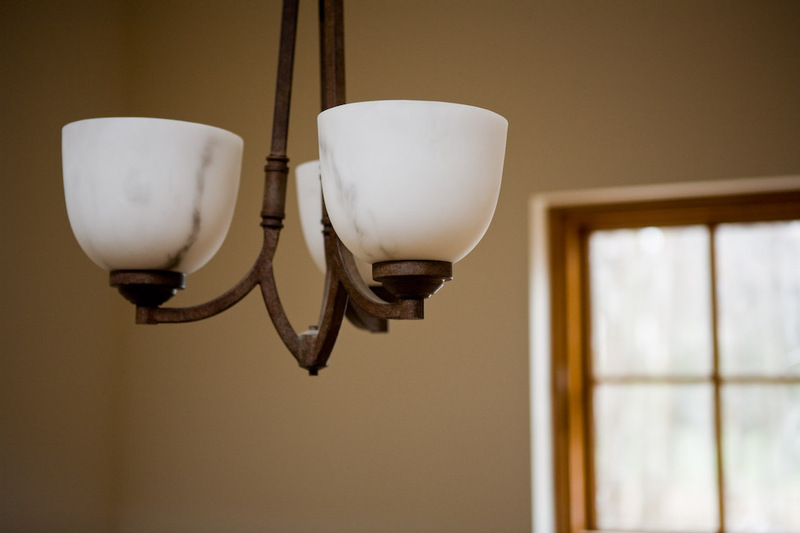 Lighting Fixtures Many lighting fixtures are energy star rated, capable of accommodating compact fluorescent light bulbs, on dimmers or low voltage. 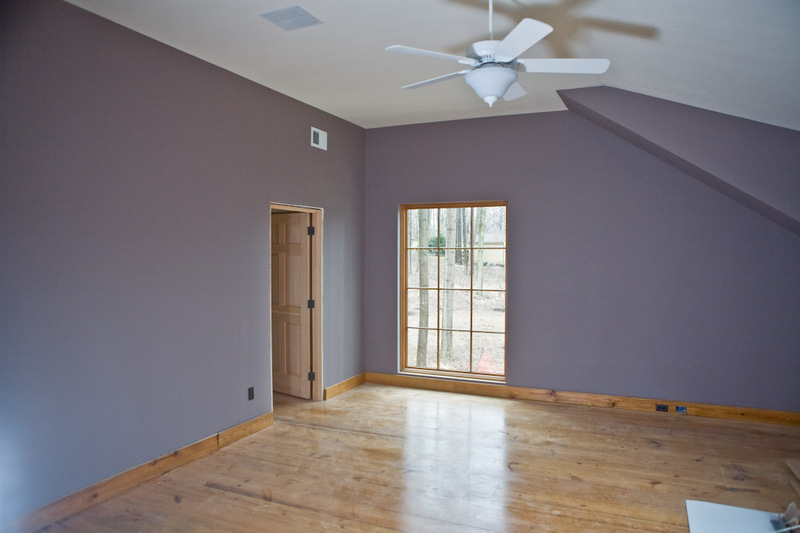 Ceiling Fans All ceiling fans are energy star rated. Bathroom Fans All bathroom fans are Panasonic WhisperGreen with SmartAction. 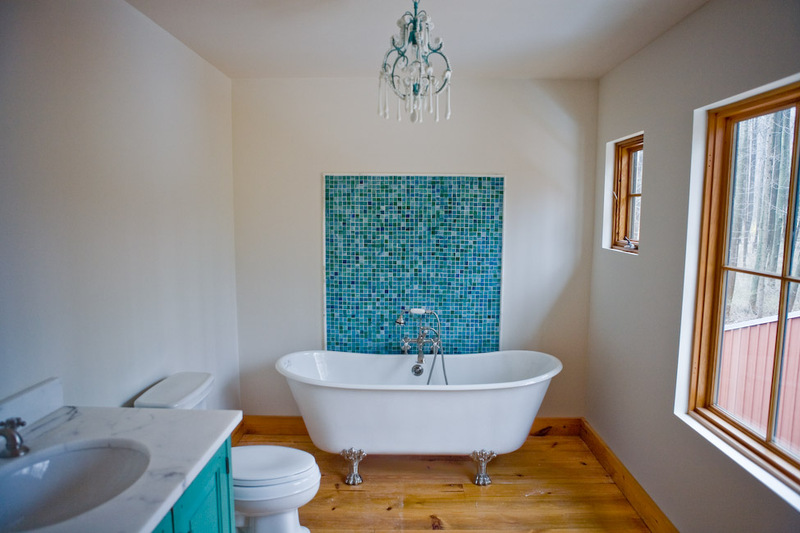 Plumbing All plumbing fixtures are high efficiency low flow fixtures (lavatory <2GPM, showerhead <2GPM). 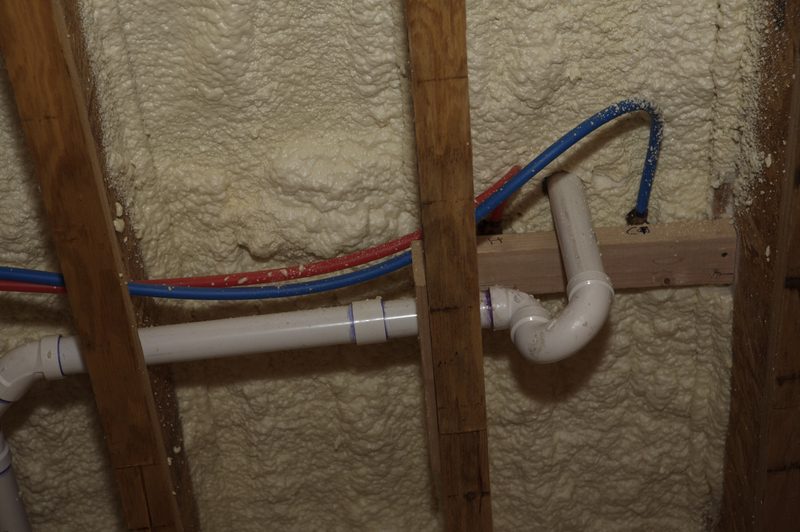 All domestic water piping is PEX tubing. Two Noritz Model N-084M Power Vent on demand propane water heaters. 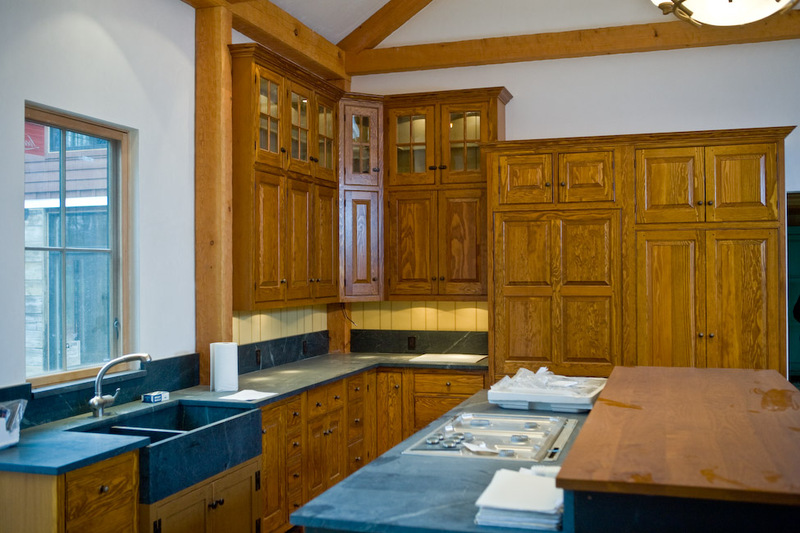 Kitchen Cabinets are made with FSC certified wood with natural, no VOC organic finishes and no urea formaldehyde. 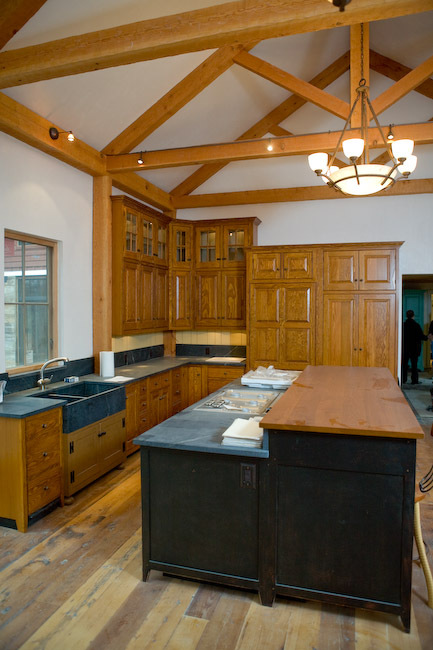 The counter tops are soapstone and wood. 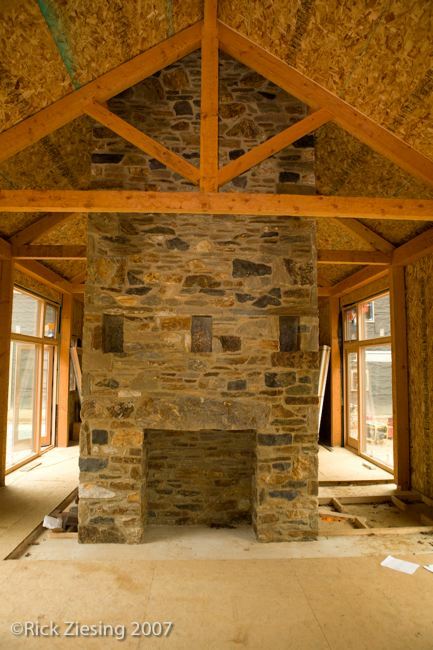 Fireplace The fireplace is constructed of Avondale Quarry stone with outside combustion air supply and damper system. HVAC System Heat on first floor, garage and 1/3 of basement is a combination of in-floor, staple down and staple up 4-zone radiant system utilizing a propane fired Munchkin Vision II boiler. The boiler has 96% combustion efficiency. Heat on second floor is a 1-zone forced air system fired by the Munchkin Vision II boiler. 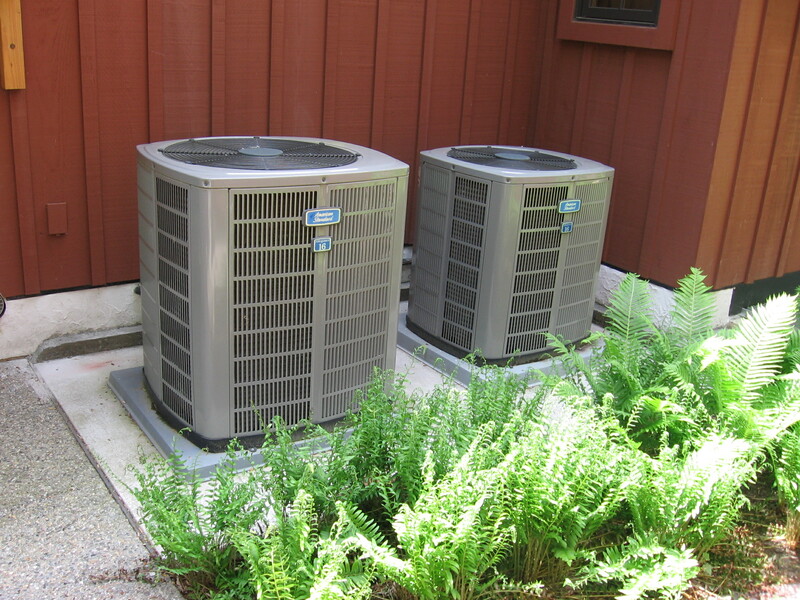 Air conditioning is provided by two separate American Standard systems: one with one zone is a 16 SEE, 2.0 ton system, on with three zones is a 16 SEER, 4.0 ton system. All metal duct joints sealed with tape or mastic as appropriate. All flex duct sealed with tape or mastic. All wall cavity returns are lined with thermonpan. All floor registers sealed to keep out dust.